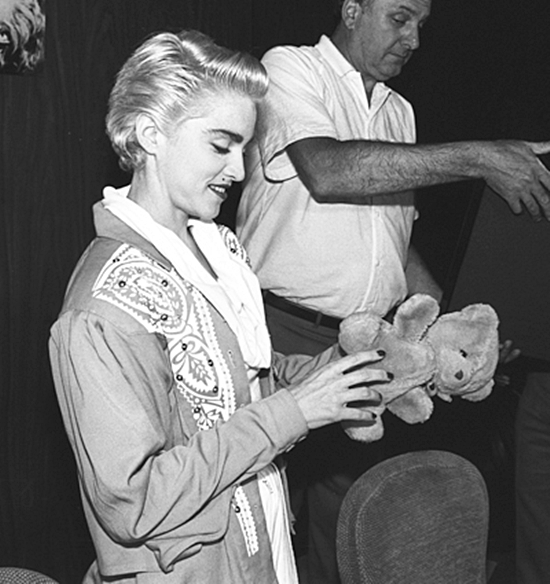 On July 3, 1987, Madonna accepted a rare Canadian Diamond Album certification award at a press conference at Toronto’s Four Seasons Hotel on the eve of her sold-out concert at CNE Stadium. The certification award was presented by WEA Music Canada president Stan Kulin to commemorate over one million units sold of the True Blue album in Canada. Madonna would receive a second Canadian Diamond Album certification for Like A Virgin in 1992. Who’s That Girl? was an artistic triumph for Madonna! Included here was an incandescent rendition of Lucky Star. Madonna had chutzpah even back then-there’s plenty more where that came from!